Product prices and availability are accurate as of 2019-04-18 19:44:20 UTC and are subject to change. Any price and availability information displayed on http://www.amazon.com/ at the time of purchase will apply to the purchase of this product. Cosmo’s COS-668WRCS75 combines curved glass and stainless steel the perfect centerpiece for any modern kitchen. 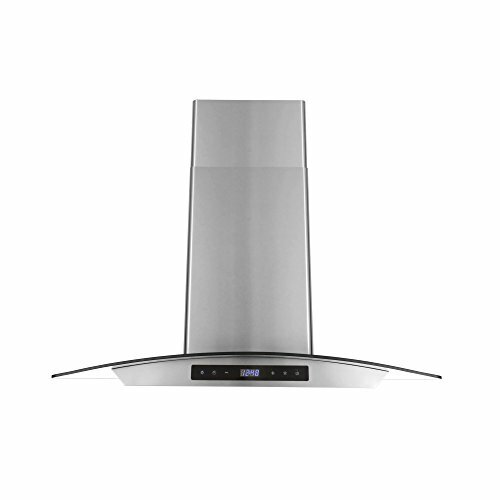 The flowing designs of our 30” wall mount range hood come with a powerful 760 CFM centrifugal motor that traps smoke and fumes from lingering in your home. 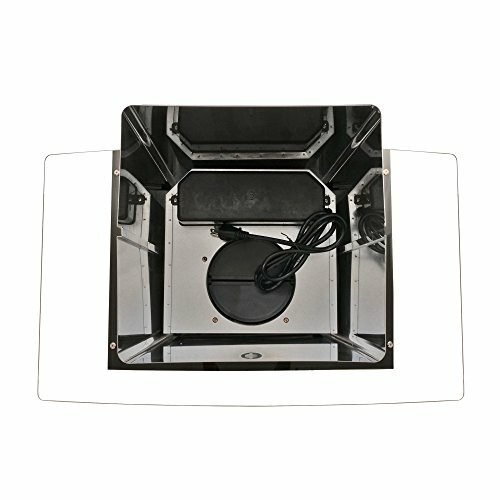 Cosmo Range Hoods include ARC FLOW Permanent Filters are the only filters that provide greater airflow and are dishwasher safe for easy clean-up. High-tech LCD touch control panel to manage multiple functions, including 3 fan speeds and LED lighting for added visibility. 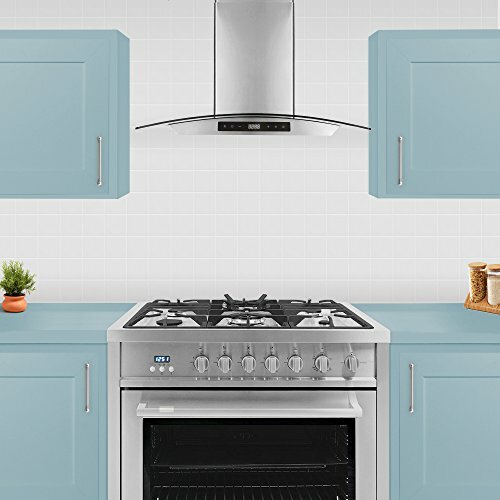 MODERN EUROPEAN DESIGN: Modern styling to fit a variety of kitchen decors. 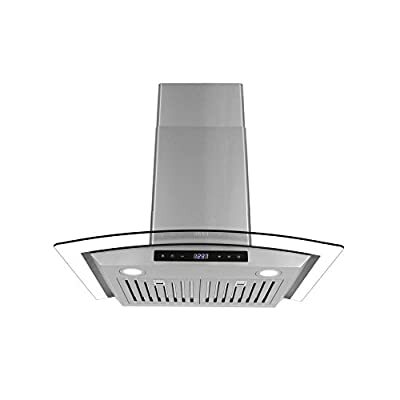 Features 30 inch size, easy to clean brushed stainless steel, permanent filters, 3 speed motor, touch panel controls, and energy-efficient LED lighting. 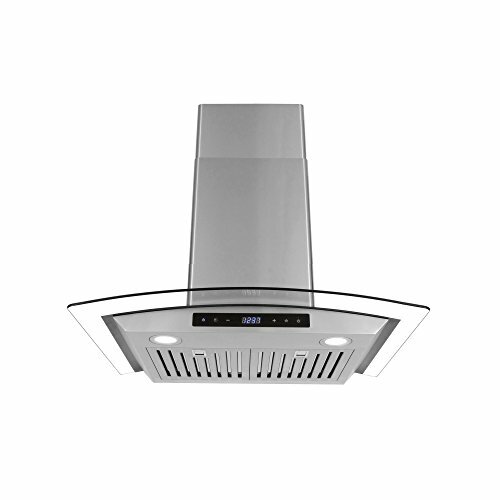 MAXIMUM AIR FLOW: Class leading 760 CFM removes smells and odors with ease for a clean kitchen. Only 65dB max noise level. 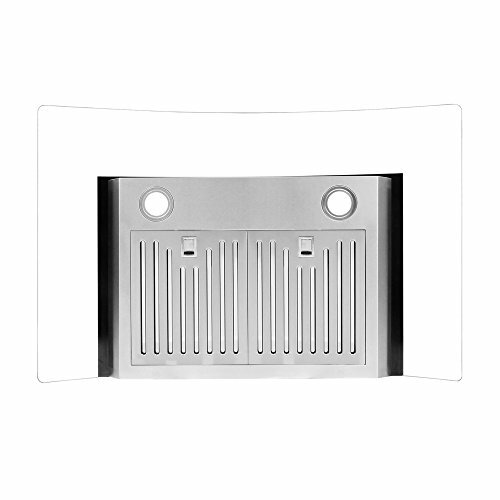 Ducted range hood vents outside and away from your home. 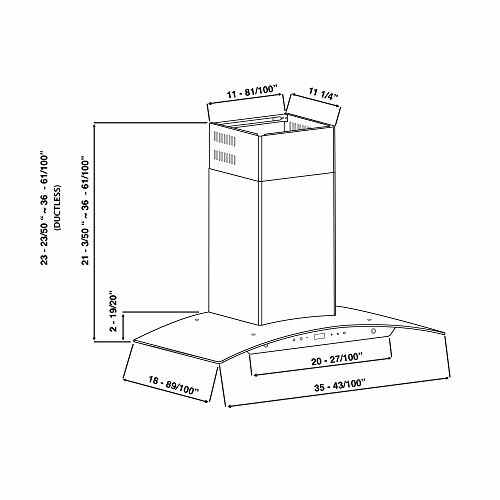 Optional Carbon Filter Kit available for ductless (Purchase Part # CFK1-RS). SUPERIOR FILTRATION: Includes 2 matching dishwasher safe "Arc Flow" stainless steel permanent filters to trap cooking grease and oil. Save money on filters every year! EASY INSTALLATION KIT: Includes hardware, instructions, 6 inch duct pipe, air backdraft damper, and chimney flue duct covers. 5 YEAR LIMITED WARRANTY: Industry leading 5 year warranty for unbeatable reliability and support. Our customer support team is based proudly in the USA.